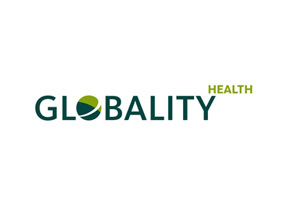 Luxembourg-based DKV Globality is a new name in the Malaysian health insurance industry, having only just started offering coverage in 2008, but what it lacks in heritage it makes up for in modern thinking and an acute understanding of the international nature of its client base. Primarily targeting expatriates and international employees, DKV's coverage plans are highly transportable, making them an excellent choice for short-term residents in Malaysia, or the frequent traveler who wants the security and convenience of knowing they are protected everywhere they go. While DKV may be new, they are still well equipped to care for the needs of their insured. With more than 5,000 employees operating 26 offices around the world, customers will always be able to reach an agent when they need one. Thanks to DKV's relationship with Munich Re Group, a world renowned reinsurance agency, DKV is very financially stable and will be able to fully back their coverage plans, no matter the medical situation that should arise. To learn more about health insurance plans from DKV Globality just fill out the information request and mention 'DKV Globality coverage' and the appropriate adviser will contact you soon, or click here to reach an adviser right away. © 2019 MALAYSIA HEALTH INSURANCE all rights reserved. Malaysia Health Insurance (MHI) is a marketing channel for WGC.